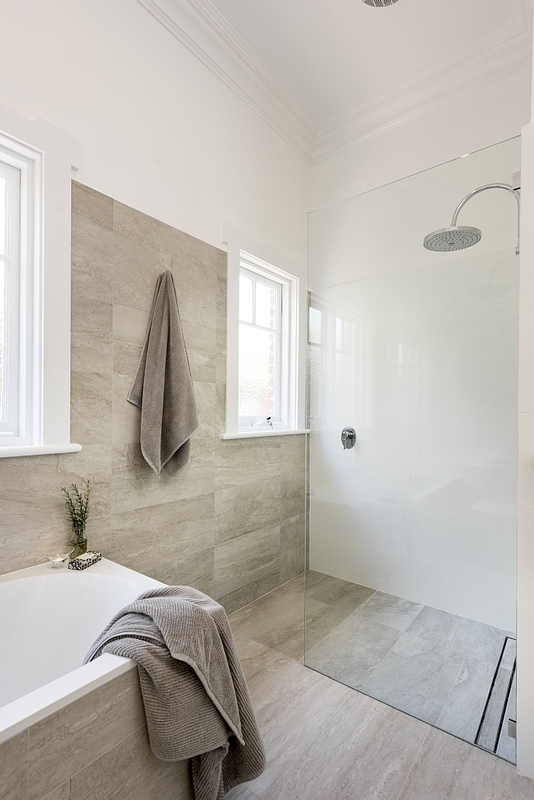 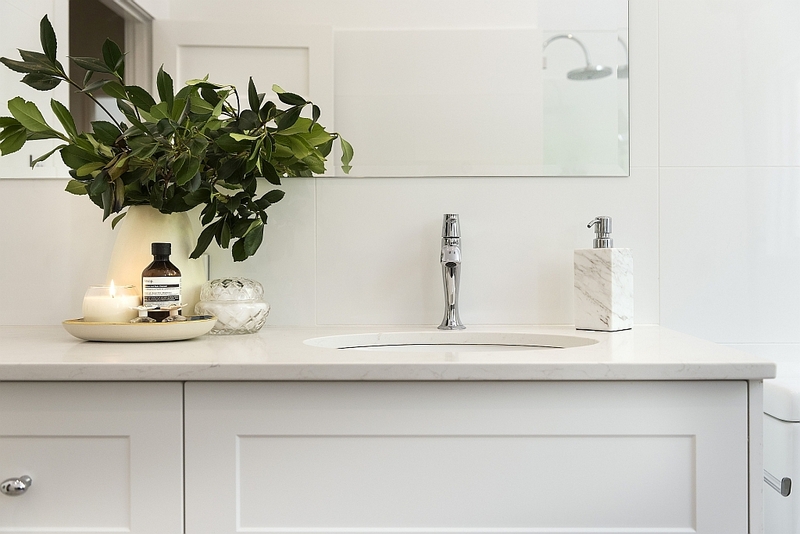 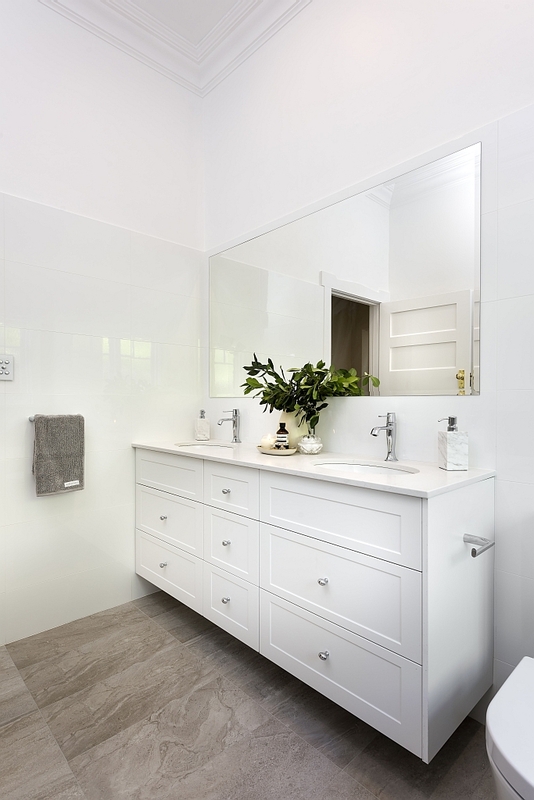 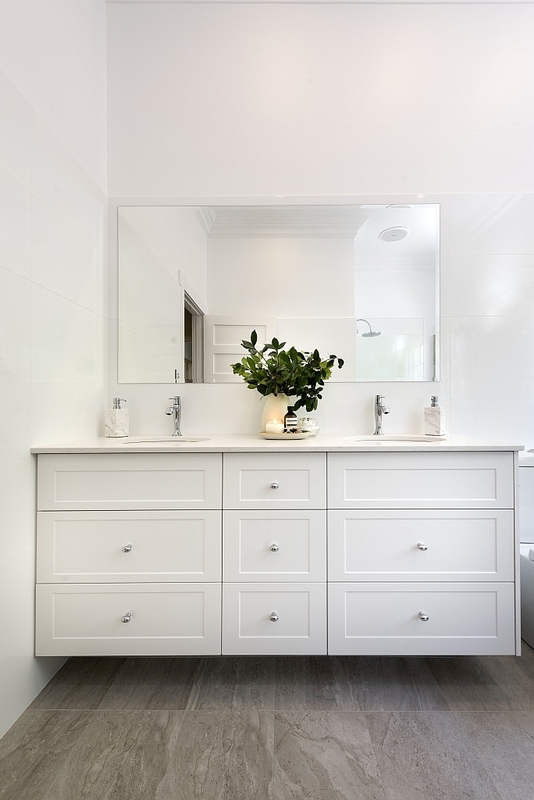 This bathroom renovation is a beautiful example of a crisp, fresh decor in an federation style home. 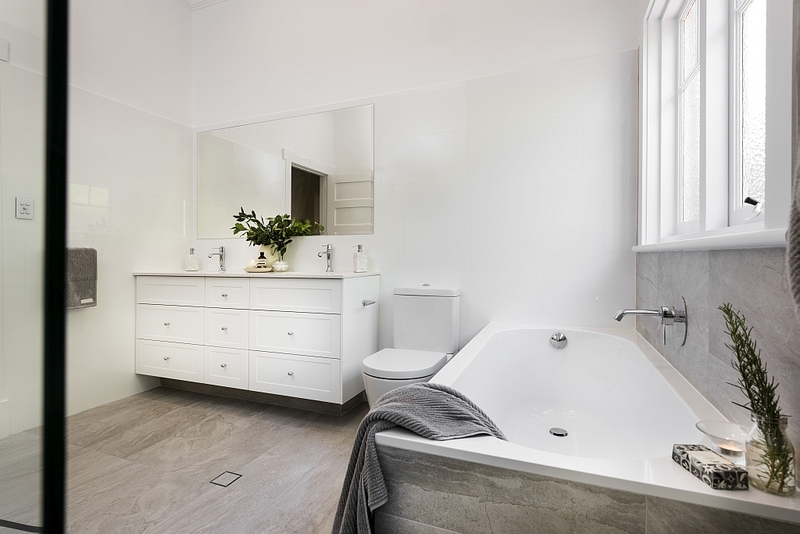 For the renovation, we comfortably fit in a bath, vanity, toilet suite and open shower recess. 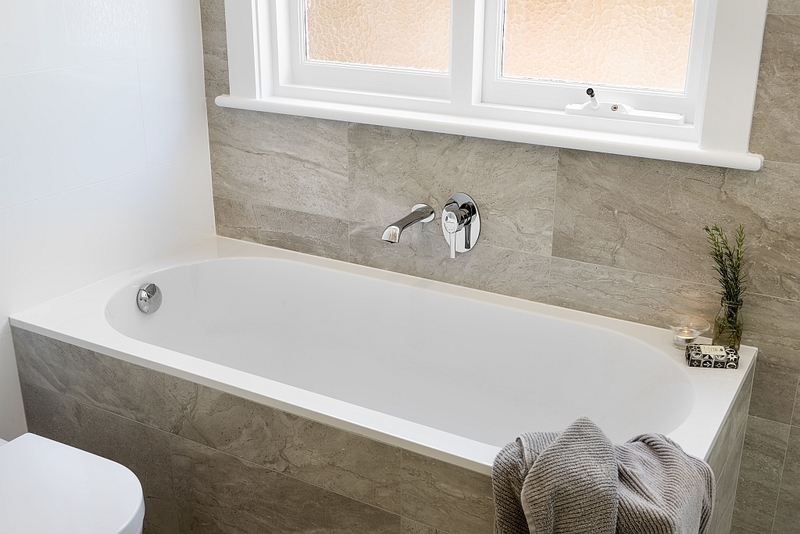 The Quaryl material of the Villeroy & Boch bath has a squared edge allowing for tiling straight down from the bath to the floor, with no hob. 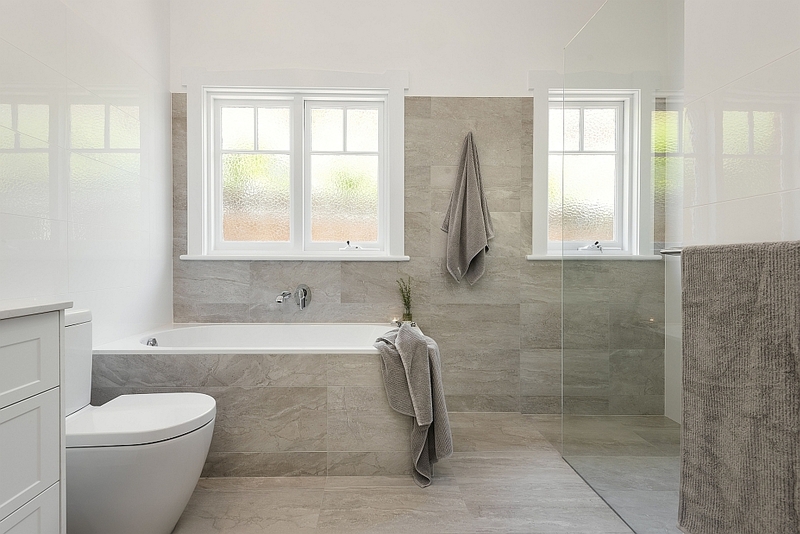 The large-format, white gloss tile is offset by a soft grey textured tile, adding an organic element to the room. 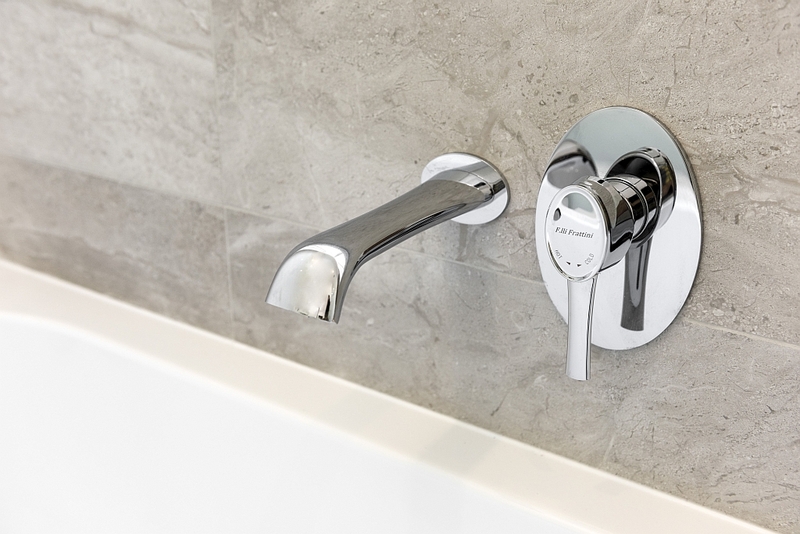 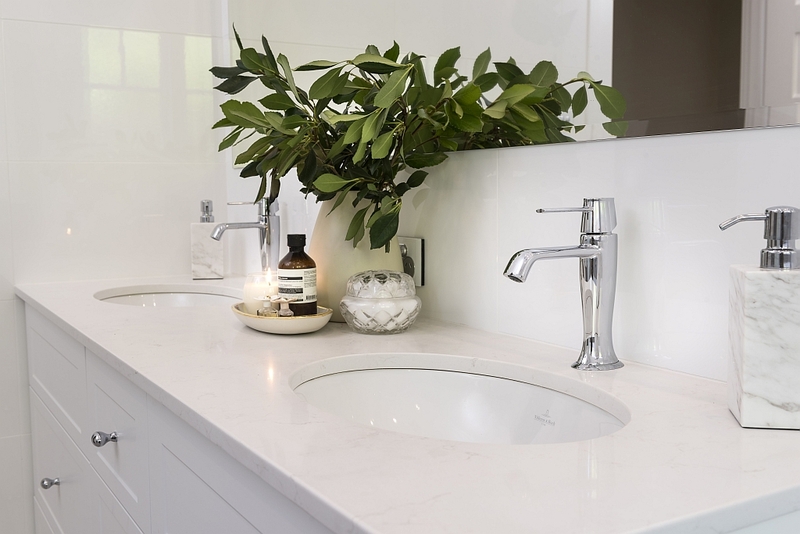 To keep in theme with the home, the tap-ware and vanity profile have a a classic detail. 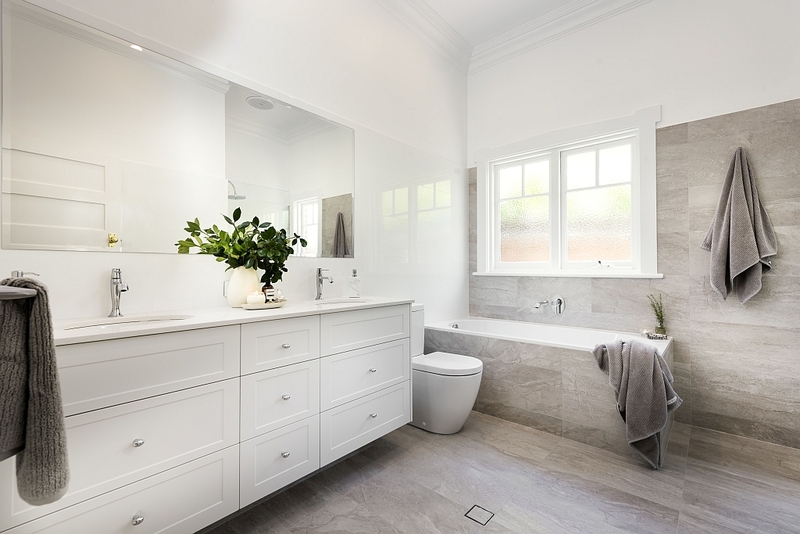 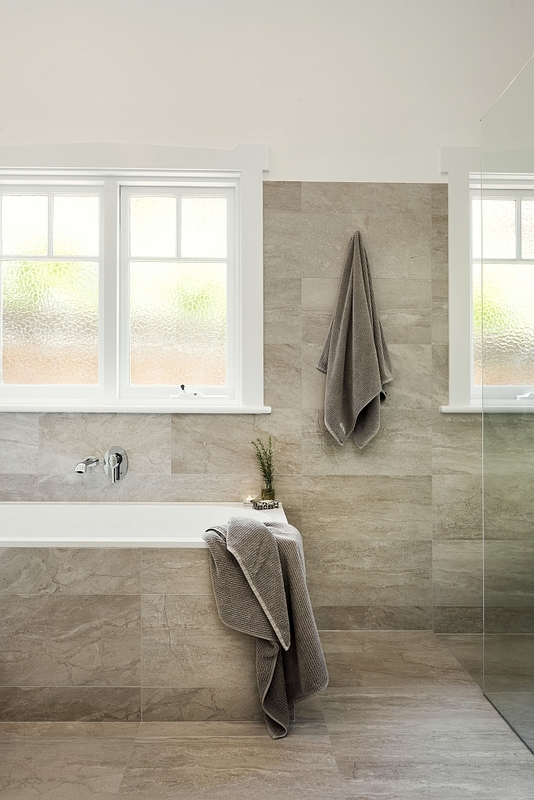 Learn more about our bathroom renovators.